Imagine eating food, and loads of it for your job. Sounds wonderful doesn’t it! I’ve had the honour of being a judge in the Free From Food Awards for three years, and this year in particular I was really looking forward to it for a number of reasons. The Free From Food Awards are an exciting time in the calendar as a judge, not just for what they represent in the free from market but also for new safe foods that I can discover. Particularly as I benchmark them against whether they’re Callum safe. If they're safe for Callum then they get bonus points from me during the judging process because it means that they cater to a much larger market that often gets left out. I’m sure many of you will agree that food is big business, and never has a market seen such an incredible expansion than that of the free from arena. Indeed, The Grocer last year reported a rise of more than 40% in sales of free from foods, with Brits spending an extra £230m on free from food in the past year alone. The growth has been so spectacular, the market value has now grown to £806.1m. I had to read that figure twice, just to be sure I’d got it right! It has seen truly monumental growth on an unprecedented scale and it’s set to continue for the foreseeable! Now, for those of us needing to buy free from foods this is great news. Long gone are the days where the majority of the free from food available was simply gluten-free. Don’t get me wrong, they were much needed, but it’s wonderful to see that other allergies are also now included and catered for. As a judge I find it a fascinating process, and I look forward to each January with much anticipation over product ranges that may have expanded. Or perhaps new recipes successfully brought to market. But it’s also more than that! Life is tough with allergies, everyone will tell you that. We’re going through additional battles at the moment with Callum’s health that are testing us to the core, which I’ll share another time, but living every day with allergies can prove somewhat challenging. So, for me, these awards don’t just showcase the producers and help them, they also help the families that need that little bit of extra support. Ready meals that can be grabbed off the shelf, without guilt, in the knowledge they are safe! Going out for the day, and knowing you have safe food to take that won’t see you in the kitchen for hours, preparing it all beforehand. Having a back up is a godsend! Sometimes, knowing you have back up is enough to make things seem just that little bit easier. Just three years ago when I first started judging, there was only a handful of safe products. Last year we got to 18. I am so pleased to be able to say that this year, I found a record 62 (yes that’s right, 62!) Callum safe products. These range from breads, sauces, cereals, vegan egg replacer, cake, biscuits, crisps, pizza bases, alternatives to meat, chocolates, milks, yoghurts and more! I was judging on 4 days, so there could well be more to add to this impressive haul! 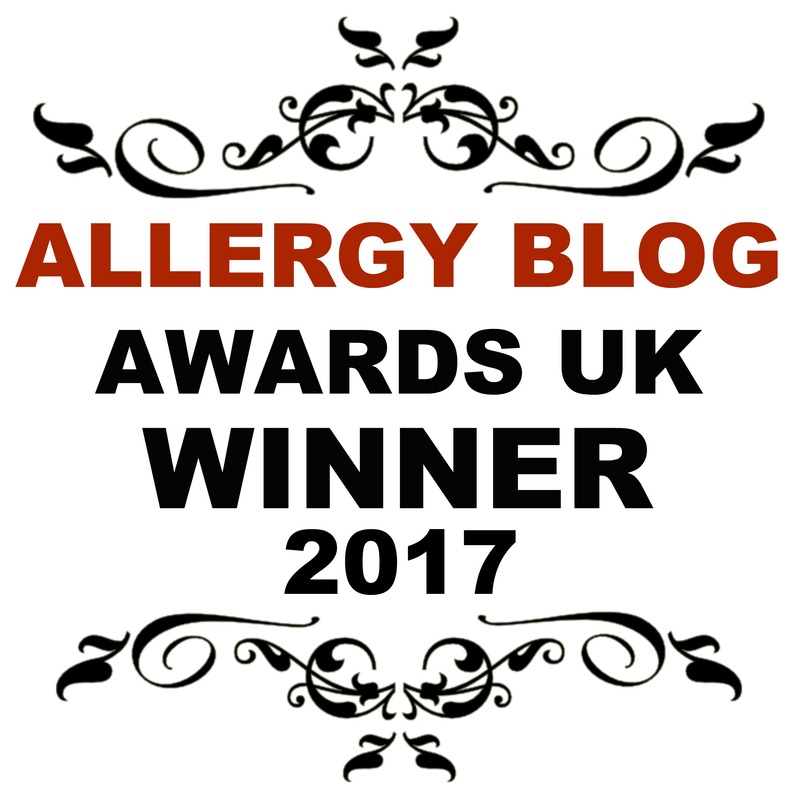 62 products that are safe for a multi allergic child, who struggles to find safe food on occasion. These are products that are predominantly mainstream, and so easy to get hold of. I’d love to tell you who were outright winners, who got silver awards and who were shortlisted as great products to watch, but I would get into a lot of trouble. All will be revealed at a glittering awards night to be held in London in April, where I promise to share all the details of the awards as they are announced. Until then, keep your eyes peeled for new products on the market when you go shopping, and give them a try if safe to. And if you want to see the confirmed shortlist of products who are eagerly waiting to find out if they've won, check out all the details here! You won’t be disappointed, we certainly weren’t!